Here at EyeCare 20/20, we take great care in helping the people of Mandeville see clearly and have healthy eyes. We offer comprehensive eye care services as well as advanced vision correction, and we are also pleased to offer basic information on common conditions that affect people everyday. With this in mind, we want to take a look at conjunctivitis/pink eye, which can affect people of all ages. Let's answer some of the most common questions we get about this condition. Pink eye refers to a type of infection that affects the eyes, resulting in redness or pinkness in the whites of the eye (the sclera). The irritation is related to the conjunctiva, the inner lining of the eyelid. Infection of the conjunctiva causes inflammation of the sclera and the telltale pinkness and redness. What Are the Common Causes of Conjunctivitis/Pink Eye? It's important that the exact cause of the pink eye be identified in the consultation process. This will allow us to determine the proper treatment and course of action. What Are the Signs and Symptoms of Conjunctivitis/Pink Eye? As soon as you notice any of these signs or symptoms, be sure to meet with your physician so the problem can be properly diagnosed. Who Is Most at Risk for Conjunctivitis/Pink Eye? When it comes to viral and bacterial cases of pink eye, the most common risk factor is proximity to children. Teachers of the very young, day care workers, and nannies often have to deal with potential pink eye simply given the many vectors of infection involved in their jobs. Touching doorknobs or remotes or desks and then rubbing your eyes can cause pink eye to occur. And obviously children themselves are at high risk for the condition, especially when they are around other children. What Treatments Are Available for Conjunctivitis/Pink Eye? In terms of treating pink eye, the ideal course of action can vary. Bacterial Pink Eye – Bacterial pink eye is commonly treated with the use of antibiotic eye drops and ointments. The bacterial infection will typically sort itself out in a week, even without the use of medication. 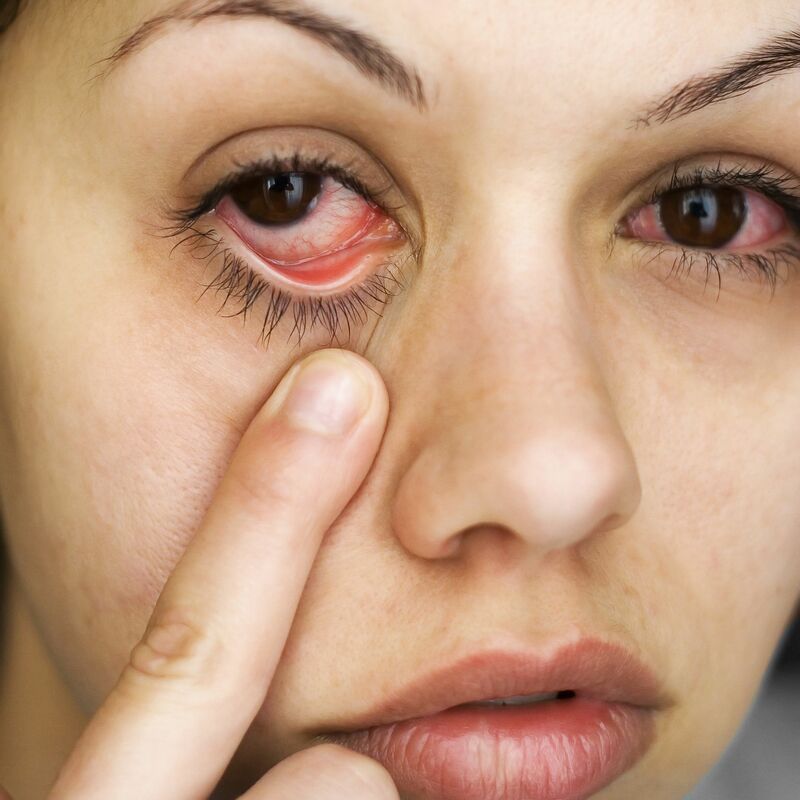 Viral Pink Eye – Viral pink eye can be address using antiviral medications. Like bacterial pink eye, however, the condition will often run its course on its own in a week or so. Pink Eye Related to Allergies – The best option for treating pink eye caused by allergies is prescription anti-inflammatory medications and the use of antihistamines. How Do I Treat Conjunctivitis/Pink Eye at Home? Can Conjunctivitis/Pink Eye Be Prevented? To learn more about conjunctivitis and your treatment options for this and other kinds of eye infections, be sure to contact our team of eye care experts today. We at EyeCare 20/20 can help you achieve wellness.